It is still too early for me to say whether or not Destiny 2’s new Warmind is the breath of fresh Martian air that the game so desperately needs. But I can confidently report that the Graviton Lance pulse rifle is now really fun to use. 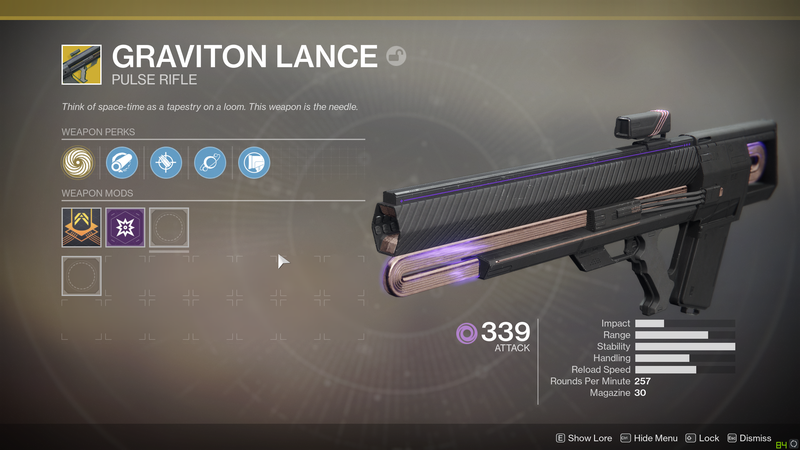 Graviton Lance is an exotic rifle that causes enemies to blow up after you shoot them. It’s always seemed great in concept, but in practice, it had some problems. Enemies went flying up and backwards in the air before exploding, which usually put them too far from their nearby allies to do any damage. And while the explosion looked cool, it didn’t actually do all that much damage if you did manage to get it close enough. 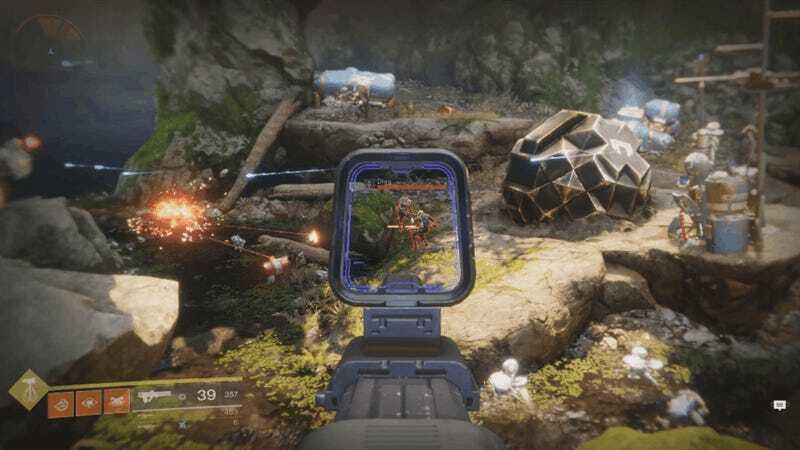 Along with Warmind, Bungie has updated and improved a bunch of the game’s exotics after receiving overwhelming feedback that most exotic weapons don’t actually feel all that exotic. (The updates aren’t actually part of Warmind, they’re just hitting the game on the same day. You’ll get them even if you don’t buy the expansion.) The studio has been talking up the coming changes on its Twitter feed for weeks, but it’s a different story to get to actually use the updated weapons. It looks neat enough, but as you can see, the explosion fails to impact the enemy who was standing next to the dude I shot. Instead, it does a whopping 6 damage to the Captain who was standing on the ledge behind and above. (That is not a lot of damage.) It’s more of a light show than anything all that practical. Granted, that’s in a slightly different part of the room and the enemies are closer together, but that’s a hell of an improvement any way you slice it. Enemies now explode right above where they were standing, the explosions do more damage to nearby foes, and they even shoot some additional seeker grenades that float around and do even more damage. The gun also now fires two shots instead of three, which makes it feel more like an oddball scout rifle than a three-shot pulse. 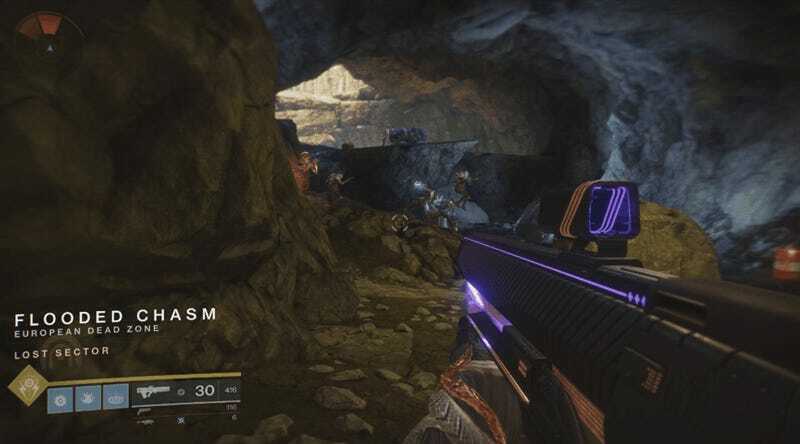 Not every exotic has gotten an overhaul—Bungie deemed guns like MIDA Multi-Tool, Telesto, and Merciless to be fine as they are—but several of my other favorites have also been improved. The hand cannon Sunshot works like it used to, but with bigger explosions. The minigun Sweet Business can now hold a ton more rounds in reserve, which should remove the annoyance of constantly running out of ammo for it. The SMG Riskrunner has basically just been juiced up even more than it was, and it was already pretty good. I have not yet had time to thoroughly test those or other weapons, but the changes do sound promising. I’ve been using Graviton Lance as I make my way through the Warmind campaign, and I gotta say that it’s made the game a lot of fun. That’s particularly important, given that the enemies I’ve faced so far have been extremely boring reskins of the same Hive monsters I’ve been shooting for going on four years now. My enjoyment of the Graviton Lance also encapsulates the current state of Destiny 2. Because it’s not a new gun, right? It’s an old gun that’s just now gotten a lot better. This game is clearly still in repair mode, and its developers are still primarily focused on overhauling existing systems and fixing longstanding problems. Destiny 2 has not yet reached the point where I’m expecting to see wild and exciting new things from it. I expect this expansion will be more about watching things that already exist slowly get better. That could change as I play more, of course. I’m still working my way through Warmind and will have more detailed impressions later this week. For now, though: How about that Graviton Lance, eh?